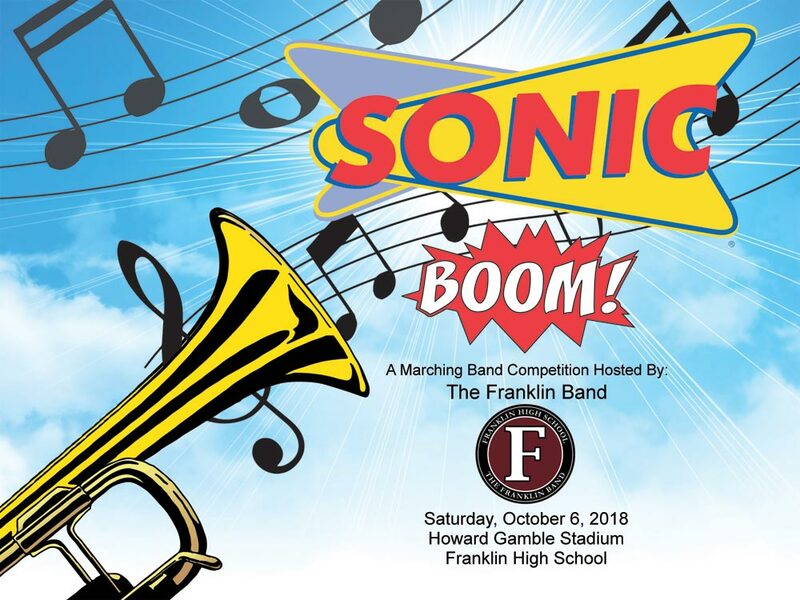 Join us October 6th at 5:15 PM in Howard Gamble Stadium for our 4th Annual Sonic BOOM! Band Competition. Thirteen bands from across the nation will be at Franklin High School to perform, compete, and have fun! Be there to join in!